A little while ago, I shared the success story of Jon Haver from AuthorityWebsiteIncome.com. If you haven't had a chance to read it yet, I highly recommend you check out what he is doing and how he is doing it. Jon has set a goal for himself to be making $15k per month by his 35th birthday. He wants to achieve this primarily through building websites and monetizing those sites. And he's well on his way! I wanted to sit down with Jon and dig a little bit deeper into how he's built a site that is making $3,000 per month. So, in this podcast you will here more details on that site, along with tons of other awesome strategies that are working for him. This podcast is a little different as well. I tried to keep it a bit less formal, and more just like Jon and I sitting down for a casual conversation about business. So, I ask Jon some questions and Jon asks me some questions, and we just talk shop. Jon asks me a few questions along the way as well about my own business! During the podcast, we covered the topic of expired domains a little bit. However, Jon has informed me that he just published a MASSIVE guide to using expired domains, that he had been working on for a very long time. So, if you want an in-depth guide on finding and using expired domains, you can read Jon's post right here. Overall, if you are interested at all in building larger or “authority” sites, I think this is a great podcast for you. And because its more of a conversation between Jon and I, we compare notes on what we do the same, and what we might do a little bit differently. Jon is well on his way to his goal of $15k per month income, and I really think he will make it. The best place to follow along with what Jon is doing is his website at AuthorityWebsiteIncome.com. As always, I would love to keep the conversation going in the comments below. So, if you have any thoughts or questions, please leave it below! Jon or I will stop by and respond. Thanks again…and best of luck in your business! If you have a minute, please leave a review on iTunes here! (This helps others find my podcast, and motivates me to keep producing them). Jon is very knowledgeable about expired domains, I had him on my show as well and he shared some great info. Good to see his talent is being shared here! you’re right this was really an inspiring podcast session! After listening I went straight to his blog to check the tutorial on expired domains and yes: Jon is VERY knowledgeable about expired domains. I think this is a SEO trend in 2013 which we all should benefit from. I plan to try his techniques on my next niche site 🙂 Maybe I will even try to push my existing NSD2 project! But who knows what Spencer has in pocket for us when he teaches his new student? The truth is that these people focusing on mini sites are starting with a “quick cash” mentality and give up sooner or later… in my experience, there are sites you should build for long term (this is where authority blogs make the norm) and mini sites you could sell in 3 or 5 months for a nice ROI. I agree. Authority sites are a better long term strategy. Mini sites are riskier and can provide a quite return sometimes…but long term branding, building an audience, etc is the way to go. Thanks Ray, When building a bigger site I like to focus more on a specific problem then and don’t worry much about the overall size/competition. I’m building a site that I plan to be a kind of an authority niche site, so can’t wait for iTunes to finish downloading. I’m sure this podcast will contain many useful things for me. Great times talking shop and learning from you. Hope others enjoy as well. Spencer – I really enjoyed the shop talk format of this episode. I hope you’re able to do more like this in the future. Also, I’m really happy that you’re producing more podcasts. I even got my wife to listen along to your interview with Jamie on episode 17! No doubt Jon is absolutely THE man to go to when it comes to learning about how to use expired domains the right way. I’ve already followed a bunch of advice from his blog on this topic – but did you see the ridiculous 8,000 word guide he published earlier this week? Holy cow! Thanks to both you for providing value to the rest of us simply by sitting around and having a chat. Great stuff. Yep, Jon really went all out with his expired domains guide. 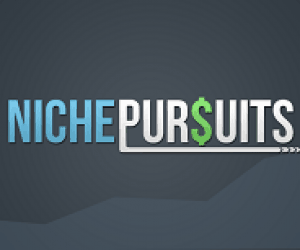 I know some female niche site builders from the Niche Site Community I am in on Google+ – but I don’t know of any that are blogging about how they build niche sites. Lisa over at 2createawebsite.com is awesome. I followed her to Pat Flynn, which led me to be here. I also shared some NSD2 participants on my side, there are women as well who take part! And you can surely find others by joining pats NSD community forum. It’s not that my wife is interested in building niche websites, the sewing thing is what got her attention. That, and she was trapped in the car with me on our way home from vacation! Great podcast! Loved the talk about expired domains. I would love for either of you to check out my free site with expired domains listed daily (only domains with real page rank are listed. http://buyexpireddomains.info. How many sites do you think you are going to have to build and keep up to date to reach your goal? It makes finding domains quite easy. Thank you! Do you have a “premium” option available yet, or what plans do you have with this service to serve customers/users better and help them get the most out of your site? Jon, quick question for you. You mentioned that you had built over 150 sites, and 75 of those don’t make money or are part of your PBN. What would you say is your ratio of PBN sites to money sites? That’s a great question Jason! Spencer, I’m looking forward to listening to this podcast on my way into work this morning. I was first introduced to Jon through your case study that you mention above. And I think he’s doing awesome things with his authority income website. Great podcast! I managed to build an authority website in less than one year too, making me over $4,000 per month (but up to $12,000 in the top month so far) so yes, I guess that going for authority is the best way to go 🙂 And I am really happy to see that I am not the only one who doesn’t have a minimum search volume for keywords! It takes a while to legitimately build an authority site. There is tons on the subject as well as the internet in general, just make sure you do it legit and not just spam backlinks. That will do a lot more harm than good these days. Write amazing and relevant content. Tell people about your content. It will happen assuming it is relevant. The podcast was very useful and informative, thanks for another insight on niches, Very much appreciated. This was one of the most interesting podcast episodes I have listened to in a couple months!! Glad to hear more about your niche site success, Jon. 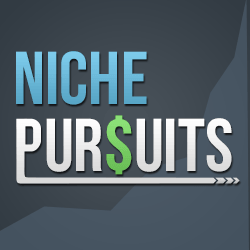 You’ve mentioned that about 75 of your 150 niche sites bring in money. May I ask if you can see a trend whether Affiliate Marketing or AdSense works better for your successful sites? Also, are your successful sites targeting a high, medium or low competitive keyword? Last question: What’s your number one free source for stock photography? So far I’ve used Foter.com and a free Fotolia.com subscription that they offer for bloggers (6 months). Curious about what you’re using. Such podcasts gives inspiration to many bloggers around the globe .Thanks for sharing this amazing podcast with us . Wow, love how the podcast goes. Very inspiring and helpful. I’m so happy the podcast is back. Thank you for making new episodes Spencer! Can you give one example of the link service or SEO services you have used to build your past niche sites with success? Thanks for the LayerdLinks suggestion. I also read or heard you say somewhere that you had found some link building packages that cost around $40. Do you recommend LL’s $219 intro package for those getting started or do you know of a more affordable initial option. I like some of Jon’s strategies, and they are obviously working well for him. However, I think that settling for “usuable” content isn’t a good strategy, especially with Google’s continuing trend towards rewarding higher quality content. Not to mention that one very high quality article will bring in far more natural links than 10 low quality ones. Great podcast Spencer and Jon. Thanks for posting it. Do you link every article to your money site? If not do you link out from every article to either your money site or one of your other feeder sites (web 2.0’s or other BN sites)? Or do you just leave some of the articles either not linking out or only linking to other authoritative pages. eg wikipedia? The reason I ask is if you link each article to your money site it would seem obvious to me, and there for at some point to google (if not already) that this site is only / mostly linking to your money site and is obviously a link feeder site. Would love to know more about your approach on this. They need to at least be on different IPs. Ideally they would be separate hosting company as well, but not necessarily required. (Multi-class c ip hosting is okay). Regarding purchasing content… I don’t understand all the trouble Jon Haver goes through to get sometimes usable content. Why not just find three or four people he really likes on Fiverr and have them write the content? This way he would know who is doing the work and has a relationship with them. Jon has unique angle from which he builds his authority sites that hasn’t really been touched upon by many who write instructional and how-to content. It’s refreshing to see some new material out there. Great podcast and thanks for choosing him for this episode!